DEHRADUN, 27 Dec: The SSBMT competitions being conducted at CSIR-IIP over the last four days concluded today. Naveen Kumar Maurya, Secretary, IIP Staff Club, said, “This tournament was organised under the auspices of the IIP staff club and the Council of Scientific and Industrial Research (CSIR) Sports Promotion Board and sponsored by AVL & Technip.” According to AK Jain, Chairman, Organising Committee, SSBMT, 10 laboratories/national institutes of the CSIR took part in Cricket and Volleyball matches. These included CCMB, Hyderabad; IICT, Hyderabad; CSIR-Complex, NISCAIR, CEERI, Pilani; IMTECH, Chandigarh; CLRI, Chennai; SERC, Chennai; CIMFR, Dhanbad; and CDRI, Lucknow. 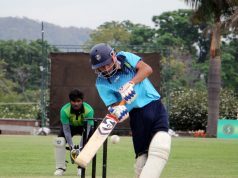 On the fourth day, the cricket teams of CDRI and CIMFR faced off at IIP in which CIMFR won the match. In the other match played between IICT, Hyderabad and IMTECH, Chandigarh, at Maharana Pratap Sports College, IICT won the match. In volleyball, CEERI Pilani battled CLRI, Chennai. CEERI Pilani won by 3-0. 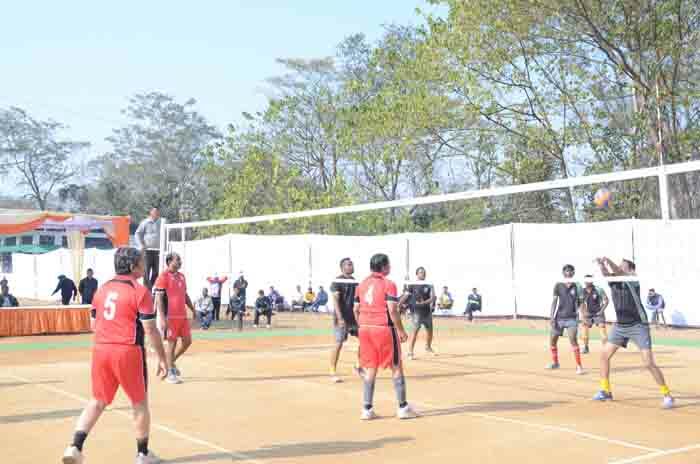 The other volleyball match was contested between CDIR, Lucknow, and CIMFR, Dhanbad, in which, after a tough fight, CIMFR won by 3-0. After having played on the grounds, the participants and the organisers converged at the Lovraj Kumar Auditorium in the afternoon for the Closing Ceremony. The Chief Guest was Sudhir Singhal, former Director, CSIR-IIP. He was welcomed by AK Jain, Chairman, Organising Committee. The welcome address was delivered by Dr Anjan Ray, Director, CSIR-IIP. Naveen Kumar Maurya, Secretary, IIP Staff Club, gave a brief on the Tournament. Thereafter, the participating Team Managers gave feedback on their experience. Concluding remarks were delivered by Dr Pankaj Kanaujia, Organising Secretary. 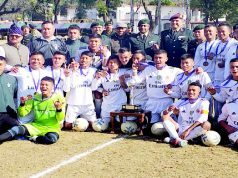 The Chief Guest presented trophies to the winning teams. The programme was conducted by Someshwar Pandey, Sr Hindi Officer. Jaswant Rai, CoA, proposed the vote of thanks.